1. Saebom Lee ,Sangjune Kim ,et al. 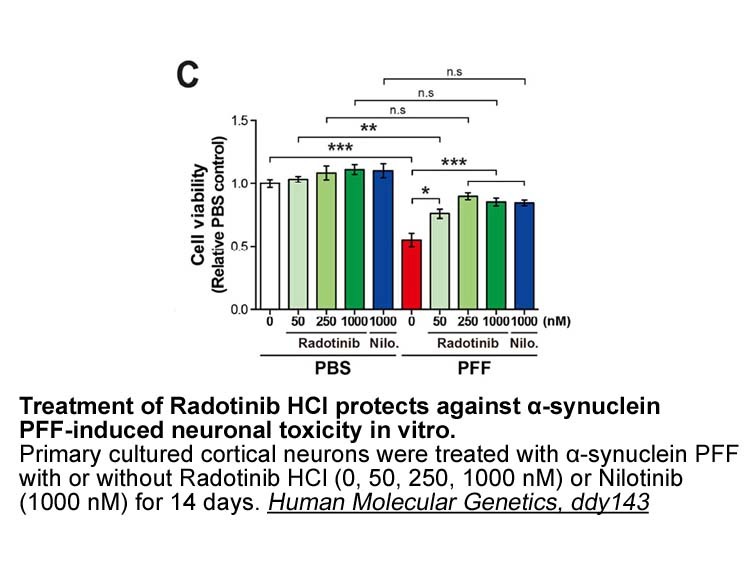 "The c-Abl inhibitor, Radotinib HCl is neuroprotective in a preclinical Parkinson’s disease mouse model." Human Molecular Genetics, ddy143. 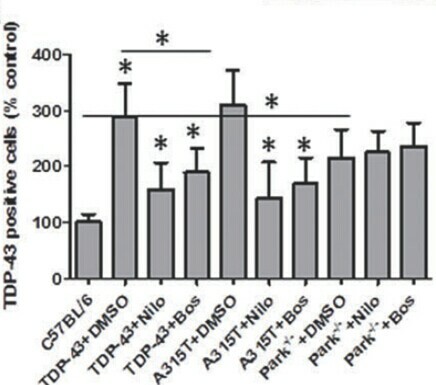 Histograms represent stereological quanti?cation of TDP-43 expressing cells. Asterisks indicate signi?cantly different to control or as indicated, mean + SEM, n=8, ANOVA, Neumann–Keuls multiple comparison. J?rgensen H G, Allan E K, Jordanides N E, et al. 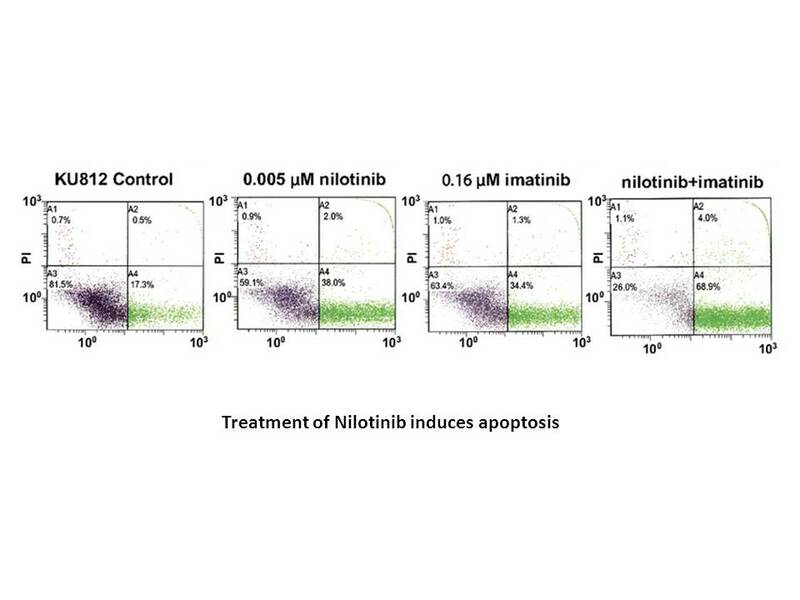 Nilotinib exerts equipotent antiproliferative effects to imatinib and does not induce apoptosis in CD34+ CML cells. 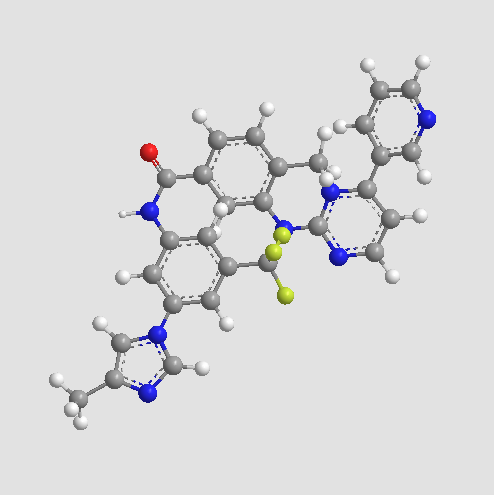 Blood, 2007, 109(9): 4016-4019. Kaur P, Feldhahn N, Zhang B, et al. 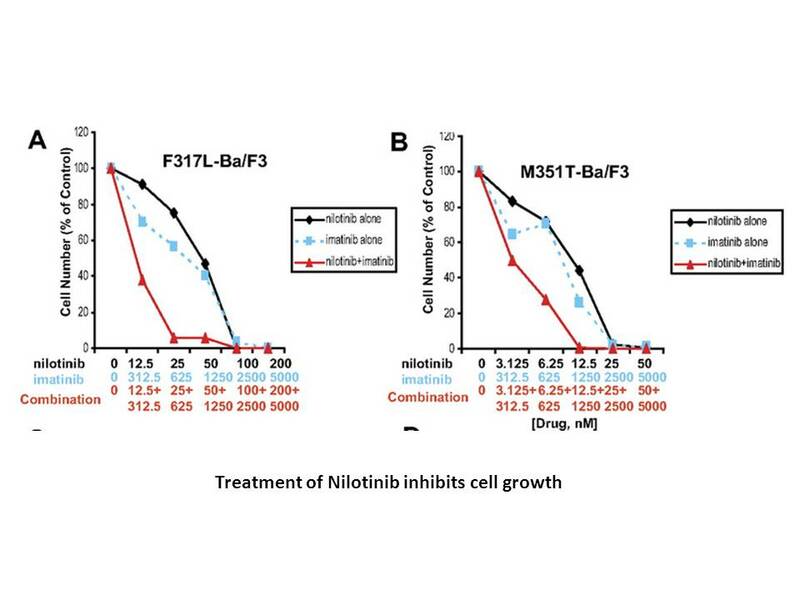 Nilotinib treatment in mouse models of P190 Bcr/Abl lymphoblastic leukemia. 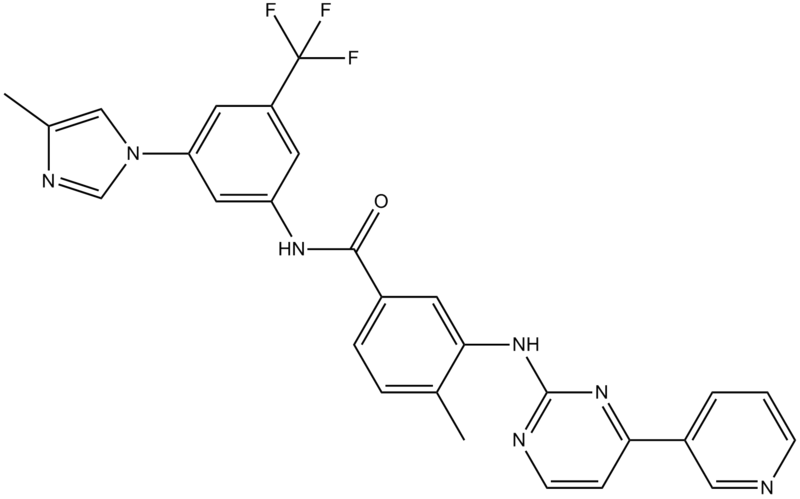 Mol Cancer, 2007, 6(10): 67-77. Weisberg E, Manley P, Mestan J, et al. 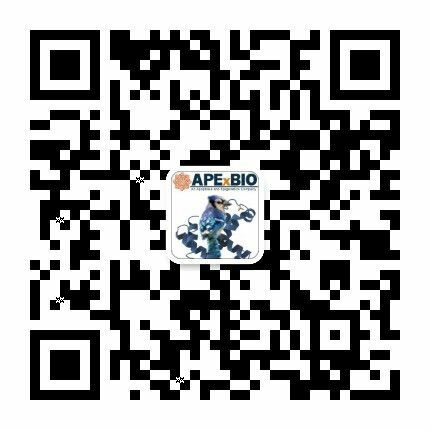 AMN107 (Nilotinib): a novel and selective inhibitor of BCR-ABL. British Journal of Cancer, 2006, 94(12): 1765-1769. Blay J Y, Von Mehren M. Nilotinib: a novel, selective tyrosine kinase inhibitor//Seminars in oncology. WB Saunders, 2011, 38: S3-S9.